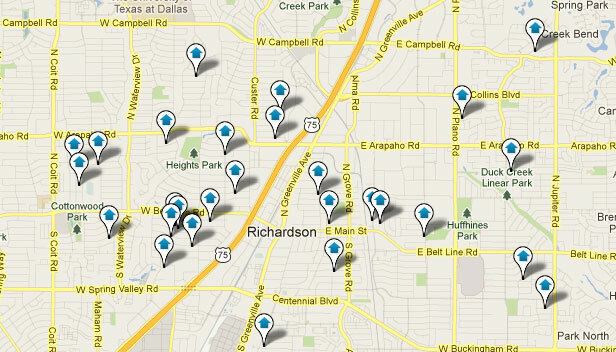 You've found the perfect site for great Richardson properties and fantastic Richardson Realtors. We live, work and play here in Richardson and this is certainly one of our primary communities as far as expertise and experience. Richardson, Texas, dubbed the "Telecom Corridor", is a highly sought after community located only 20 miles away from downtown Dallas. Richardson is known as one of the best suburban cities around Dallas, with an estimated population of just over 100,000 residents. Richardson offers enjoyable weather, a strong, vibrant economy and has very attractively priced homes for sale. If you are looking for homes for sale in Richardson, an experienced Richardson Realtor at The Todd Tramonte Home Selling Team will be more than able to help. Ever since Richardson was incorporated in 1925, it has been a city building toward the future. With Richardson's close proximity to both Fort Worth and Dallas, Richardson is enjoying all the benefits of a metropolitan city while at the same time remaining affordable and moderately sized. Search for all homes for sale in Richardson through our website's innovative MLS search functions. The Richardson Independent School District (RISD) has a long-standing reputation for educational excellence, and the district is continually recognized at both the state and national levels. The Richardson school district is comprised of 55 schools and serves the educational needs of 36,000 students annually. RISD also defines an area of very attractive Richardson homes for sale as well as several areas of Dallas homes. There are 17 community colleges, universities and professional schools including The University of Texas at Dallas (UTD) with an enrollment of over 17,000 students. Our experienced Richardson real estate agents can provide you with further details regarding the Richardson school district. The city of Richardson is committed to maintaining an outstanding quality of life for its residents. Richardson sponsors many annual events including the award winning Wildflower Arts and Music Festival, featuring the best in unique local, regional, and national headliner entertainers on five stages. Also, the Huffhines Art Trail is a unique event and fun blend of arts and crafts. Located in the beautiful setting of Huffhines Park, where beautiful pottery, jewelry, paintings, and the whimsical arts and crafts are on display. Children in Richardson look forward to Santa's Village each holiday season, sponsored by local businesses and the Richardson Fire Department, where they enjoy rides, explore the North Pole village, interact with animals and visit Santa, Mrs. Claus and all of the elves. Buying a home for sale in Richardson will allow you to enjoy one of the most moderate climates in the county with an average of 137 days of sunshine a year. You will enjoy the beautiful landscape that this North Texas city has to offer. Richardson house prices are affordable and there is an abundance of access to business opportunities in the area. Contact an experienced Richardson REALTOR today at The Todd Tramonte Home Selling Team to begin your search for a great Richardson home. Listing courtesy of Pioneer DFW Realty, LLC.